In “Farmer’s Son, Military Career,” the author details his journey from growing up as a farmer’s son to joining the military. In his heartwarming narration, he imparts valuable lessons that he learned along the way. This memoir reminds readers that it’s worth staying positive even during life’s darkest and most difficult moments. Clarence E. “Kip” Vold takes a trip back in time to share the experiences shaped him to become the man that he is today and impart the wisdom and morals that life has taught him. Following the suggestion of his wife as well as his brother’s passing, he got inspired to narrate his story to open up about what it’s like to grow up on the plains of South Dakota as a farmer’s son. Vold thoughtfully recalls meaningful and interesting memories in his life in the “Farmer’s Son, Military Career.” Not only that, this memoir details unforgettable memories from the time he enlisted in the Military to serving in the Air Force. Other than retelling the ups and downs military career, he also hopes to show his readers that his life has moments outside the service that are worth sharing. He talks about his Norwegian roots, how his family settled in South Dakota, his memories growing up as a farm boy, and the joys of living a simple and meaningful life. He also talks about how his parents met and other interesting stories about his family. Ultimately, Vold’s memoir reminds readers that it’s worth staying positive even during life’s darkest and most difficult moments. Indeed, this book wonderfully opens up about the different facets of the life of a military man. Veterans and those actively serving in the military can also reflect on their own experiences as they read through Vold’s journey. 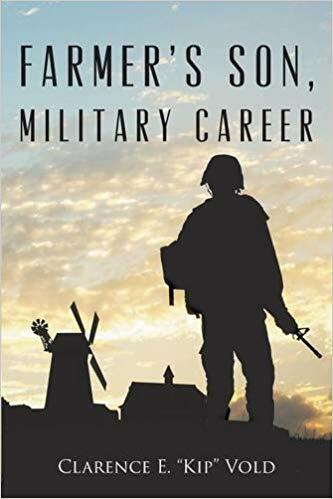 Interested readers may purchase a copy of “Farmer’s Son, Military Career” on Amazon: https://www.amazon.com/Farmers-Military-Career-Clarence-Vold/dp/1634178610/.